For the best in air conditioning repair Plano has been turning to Devard’s for decades. 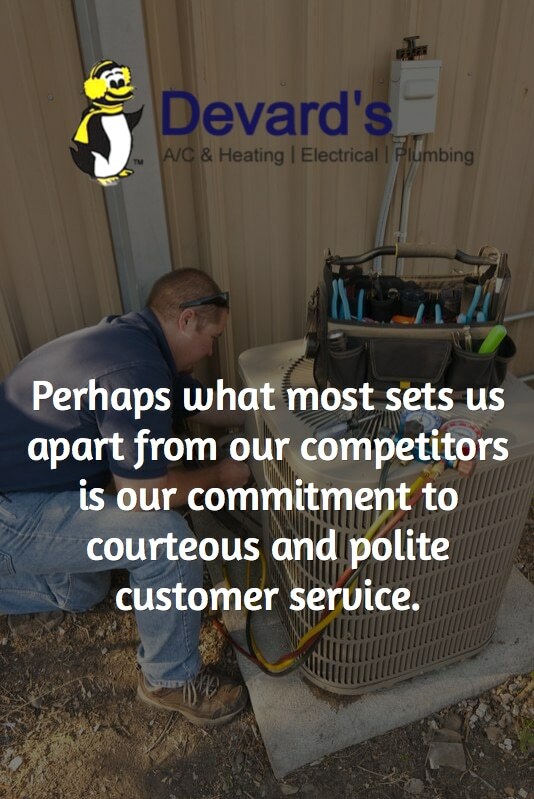 With the most skilled technicians in the industry, affordable pricing and a commitment to exceptional customer service, we’re the sensible choice in North Texas for HVAC repair. When you’re hot in your home, you may be tempted to accept AC repair help from whoever you find online or in the phone directory, but turning to us is the smart choice because our people really know the air conditioning repair business. Each of our technicians are highly skilled professionals that we would gladly allow to work on the heating and cooling equipment in our homes. They’re like family to us, and they’ll treat you right too. You don’t have to worry about price when you turn to us because we’ve been confidently satisfying customers in Plano and all of North Texas since 1968. We must be doing something right to maintain such a high level of loyalty from our customers, allowing us to stay in business and maintain success all these years. It also helps that we can confidently work on any brand of HVAC equipment on the market. Our technicians come to your home fully equipped to provide services on brands including Amana, Trane, Ruud and many others. By arriving fully stocked, we can complete most work in one simple appointment. If you need additional services or a replacement system, we’ll walk you through your options so you can make an informed decision. Perhaps what most sets us apart from our competitors, however, is our commitment to courteous and polite customer service. From the person you speak with on the phone to every technician in our employ, we cultivate an attitude of respect and professionalism that shows in everything we do. HVAC repair doesn’t have to be a painful, complicated and expensive process, and we’re proving that every day. For air conditioning repair Plano residents just like you have been depending on for more than 45 years, turn to Devard’s. We’ll come to your home quickly — even if yours is an after-hours emergency call — and we’ll put things right for you. You deserve that, and you deserve a cool, comfortable home. Please contact us now so we can make that happen for you. It’s a smart decision you and your family won’t regret. In fact, you’ll call on us again and again — just as your neighbors and other Plano residents do.